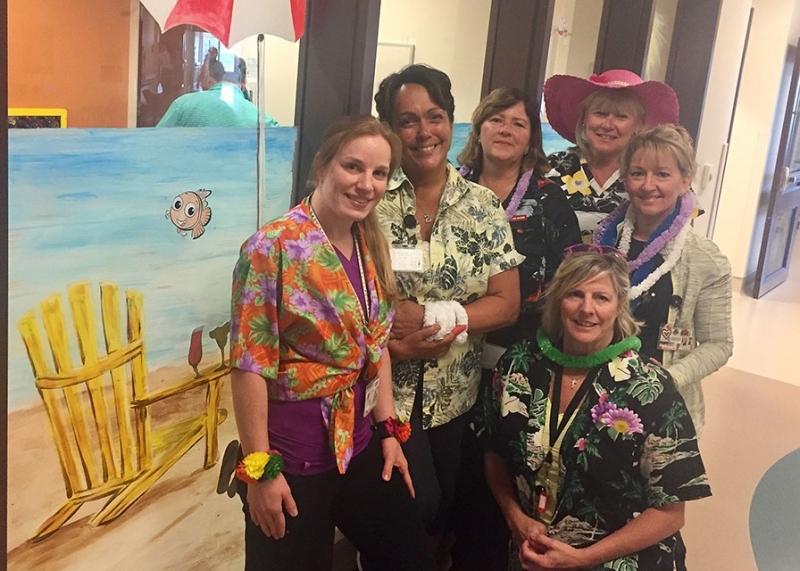 You would be forgiven if you wanted to say “aloha” instead of “hi” during a recent visit to our Children’s Health Unit at the St. Catharines Site. Members of the team were dressed in a Hawaiian theme as part of the unit’s first Fabulous Friday event. The idea for Fabulous Friday came from the Unit-Based Team on the Children’s Health Unit. The team decided to designate one Friday a month as Fabulous Friday in an effort to make that day more fun for all, lifting the spirits of patients, their families and staff. The theme for September’s Fabulous Friday will be the Toronto Blue Jays. It’s bound to be a homerun! Learn more about our Unit-Based Teams here.